What will be the Biology Syllabus for the exam and to prepare for which topics? Hi Vineet, thank you for the query and I am here to help you out with Biology topics. Here are the few topics in Biology The diversity of Living Organisms, Cell Structure and Function, Ecology and Environment and many more which you will get on the Syllabus section of JIPMER exam. What topics in Chemistry are more relevant for JIPMER exam? Hi Snehil, various topics for Chemistry form which questions will be relevant in the exam are Solid State, Coordination Compounds, Solutions and some others. For details about the syllabus of JIPMER, you can refer to Syllabus section of JIPMER exam. QI am an NRI candidate. Should I apply? I am an NRI candidate. Should I apply? Yes, if you are willing to apply for the exam, you should. you are eligible too. QI had PCM as my subjects and no biology, i want to take the test. I had PCM as my subjects and no biology, i want to take the test. No, you cannot apply for the exam as you did not have the biology as a subject in ur education. QWhat is the deadline for M.Sc Application form of JIPMER? What is the deadline for M.Sc Application form of JIPMER? Deadline for JIPMER M.Sc Application form is 25th May 2018. QWhat is the exam date for JIPMER MBBS? QWhat is the duration of JIPMER MBBS course? The duration of the JIPMER MBBS course is 4 years and 6 months, followed by 1 year of Compulsory Rotatory Internship.To check all the details regarding the exam, click on the link here. QHow to study for the JIPMER 2018 to score good marks? How to study for the JIPMER 2018 to score good marks? Firstly, check the Syllabus from the syllabus section and then go through the reference books t study from the most relevant books related to the exam and then solve sample from previous year question papers. QHi, i am Mani want to know whether JIPMER MBBS scorecard is considered for other colleges? Hi, i am Mani want to know whether JIPMER MBBS scorecard is considered for other colleges? 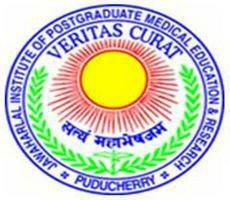 JIPMER score is considered for other MBBS colleges too. For more information, click here. QHi, i am Shiksha want to know about any prescribed age limit for JIPMER MBBS? Hi, i am Shiksha want to know about any prescribed age limit for JIPMER MBBS? The Age limit for JIPMER MBBS should be more than 17 years and above. There is no prescribed upper age limit. For more information, click here.